Find the button you want to skin. 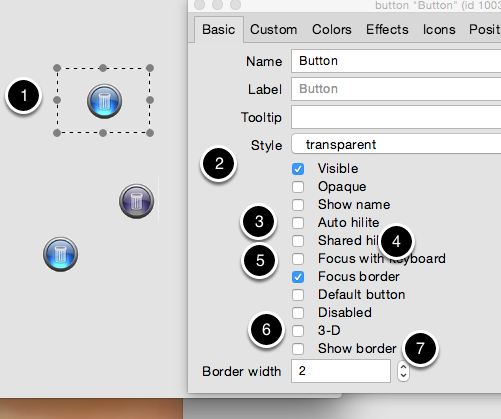 If you don't already have a button in mind, drag a new button from the tools palette onto your stack. Import the images you want to use. 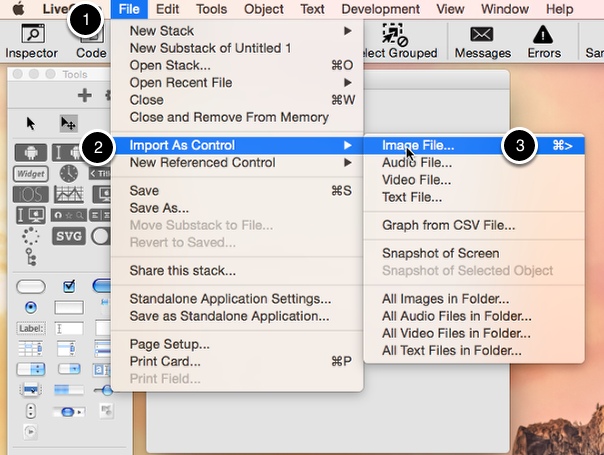 Go the the file menu and select 'Import As Control' and then 'Image'. 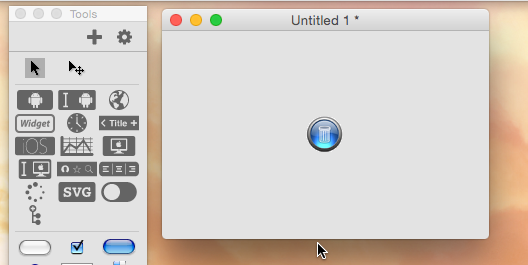 This will bring up a dialog allowing you to browse to your files. Select as many images as you want to import. 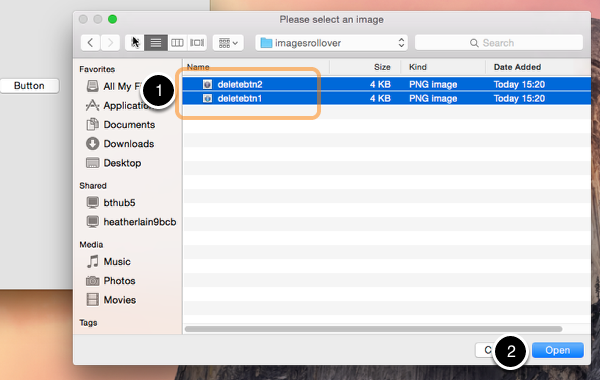 The image selection dialog will let you import more than one image at a time. 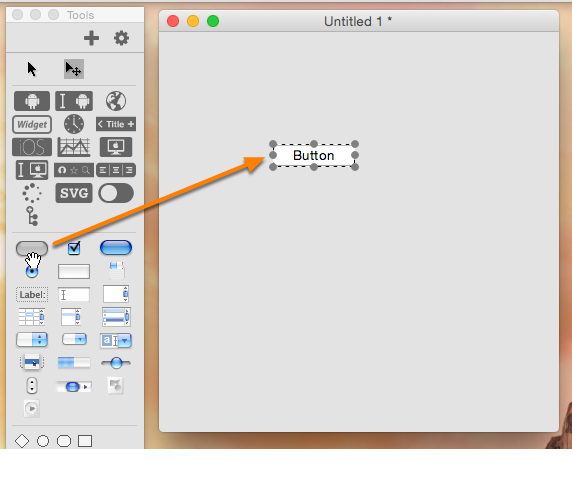 In this case I have selected my button image and its rollover image. Note the images will import on top of each other, so drag them around to arrange them where you can see them. 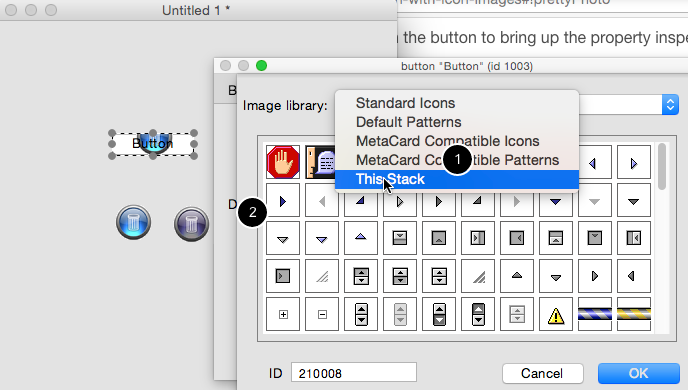 You can see that this pane lets you specify a range of images for a button. 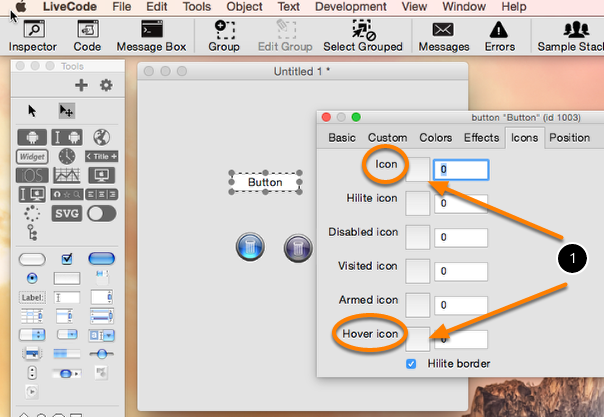 We are only interested in the 'icon' which is the main image, and the 'hovericon' which will be displayed when a mouse hovers over the button. 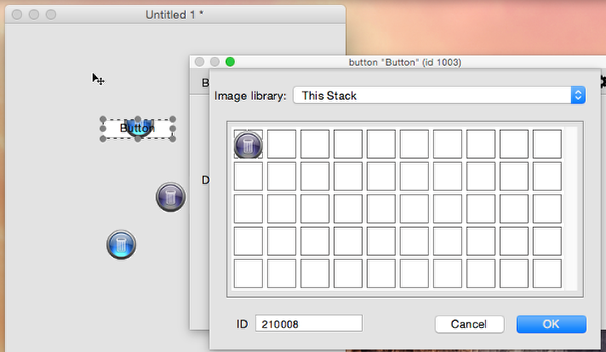 1) The buttons on the left load an image chooser dialog which can be used to select the images we have just imported. 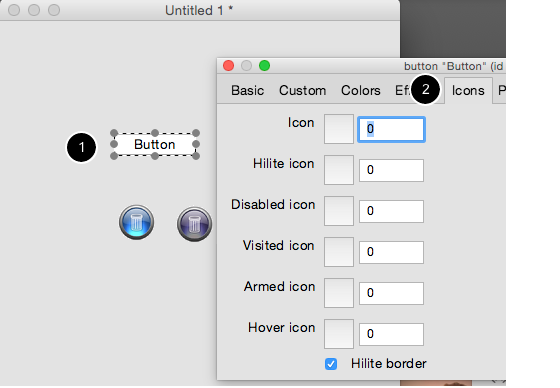 Set one of the images for your 'icon' state and the other for your 'Hover Icon' state. The images you imported are still showing. Select these, and in the Property Inspector set each of them to invisible. You are done. One fully skinned rollover button. Switch to Run mode and try it!